I still remember the day I walked into Rhyl High School as a PGCE student. The hustle and bustle of excited students, the long corridors of a traditional school and staffroom banter. 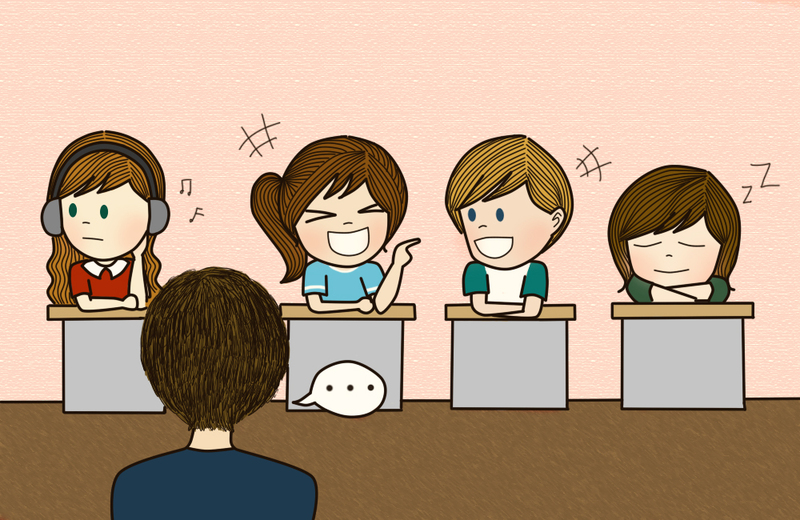 My first experience of professional teaching was really challenging for me, not least because I was inexperienced and I found it hard to deal with many excited students asking questions all at once. Rhyl was a brilliant school and was my baptism, and I’ve loved teaching ever since. I stayed in the UK until the end of the 2008 academic year before moving to Thailand to teach at an international school. I was initially reluctant to go, as I was unsure of what to expect in the Land of Smiles (and I didn’t even know it was called that until I landed and saw a big sign at the airport). I loved teaching in the UK, but Thailand was so much better from day one. Why? That was simple: Students who were all willing to learn (no behaviour management problems at all) and much less paperwork and ‘red tape’ to contend with. One has to remember though – I was teaching in fee-paying, international schools in Bangkok. In the UK I was working in maintained state schools, where the abilities and agendas of the student populace can vary enormously. Some would say that this kind of classroom scene is more common in the UK than in schools overseas. Would you agree? I’ve never experienced large-scale student disruption or distraction in Thailand. Have you taught overseas? How does your experience relate to this? That may sound condescending to educators currently in the UK, but my experience is not unique. The chief inspector of schools, Sir Michael Wilshaw, has claimed that the UK faces a “teacher brain drain” as newly qualified educators move abroad to find work. But actually it’s not just the warmer climate of places such as the Middle East that’s so appealing to the UK’s best teachers all of a sudden – it’s the warmer professional climate that the international schools offer that’s really alluring. There was certainly a warm, professional climate in all of the schools I worked at in Thailand, but I also found that in the UK too. In fact, because a number of teachers were working together to deal with issues ranging from individual student behavior management to improving coursework collection and completion, I found the professional climate to be a little warmer (at times), but a little colder when you were asked to justify things, such as putting students on detention to catch up with missed work. A mass exodus of teachers from the UK. Something must be luring them away. Whilst the British government makes the claim that more and more teachers are entering the profession each year, the Huffington post article makes it clear that this is not enough to compensate for the increasing number of pupils that are going through the system. In fact, the British government itself has made projections for the current decade up to 2020 predicting that school numbers could rise by 800,000 – 900,000 pupils nationally. If class sizes are to remain capped at 30, then this increase is unsustainable and the classroom management expectations of teachers are only going to increase. –those with some UK teaching experience, can find a job overseas relatively easily (although, of course, there is still competition for places). This, coupled with the fact that international schools tend to offer very attractive salaries and benefits packages, with some even offering free accommodation, makes the UK seem like a bit of silly choice for any talented, aspiring teacher. Also, by ‘elsewhere’, I don’t just mean outside of the UK. Many graduates are now choosing alternative careers to teaching as a starting profession, especially since NQT pay has not kept up with the increases seen in the past five years in other job sectors. Graduates are simply choosing other careers paths that pay more, and require less training. I graduated back in 2005 thinking that taking a PGCE was the only way to become a secondary school teacher. I was wrong, of course, and now there are even more options than ever before. During his time as Education Secretary, Michael Gove made some of the most radical reforms to teacher training ever seen in the history of the profession. Traditional routes into teaching could be bypassed by the new School Direct approach, which basically placed pressure on schools, rather than universities, to fully train new teachers. Since the TDA’s removal by the government coalition, schools have not been obligated to recruit enough teachers to fill the places they’ve been allocated. Training new teachers is burdensome and time-consuming, and there are no penalties for schools that under-recruit. For many schools, it’s easier to allocate more classes to their experienced teachers rather than hire and fully train new staff. School Direct places are not evenly allocated around the country, and some schools don’t even have access to this recruitment channel! The approach has destabilized University-based teacher training provision, with some universities, such as Bath, proposing to scrap their PGCE courses. Teachers in the UK tend to find themselves ‘bogged down’ with lots of paperwork. And it’s not just marking the many assignments from large classes that contributes to this, it’s lots of other things too. Should teachers really be taking on the role of ‘office clerk’ at the same time as being an educator? Photocopying and preparation of resources, which can be particularly time-consuming if you are trying to differentiate to a variety of learning-styles or special educational needs. Can you think of more to add to this list? Have you ever had a telling-off from your line-manager? From lack of ‘effective’ planning to not performing well in snap Ofsted inspection, there are more reasons than ever before for school managers to reprimand their staff. The Comprehensive Spending Review published last November announced a £600 million cut in schools’ Education Services Grant and a six per cent real-terms cut. The impact of this on the recruitment crisis is huge. Schools are facing the risk of bankruptcy, and are having to make wide-ranging savings. This means fewer support assistants, tighter budgets for essential resources and considerably less for ICT, and less money to spend on furniture at a time when research demonstrates its impact on attainment. Every school is different. It is wrong to say that teaching overseas is better or worse than teaching in the UK. Every school has their own individual merits and downfalls, and it is important to research carefully before applying for, or accepting, a teaching position at any school in the world. Make sure you consider the country profile of a particular location before moving there, and you may even be able to read reviews of your chosen schools before making a final decision.